This home welcomes you into a large great room with a fireplace and entrance to the private patio/balcony. 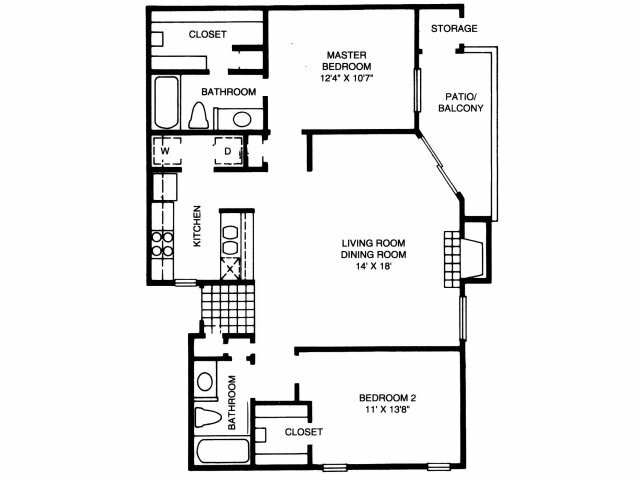 The two bedrooms are on either side of the great room and each includes walk-in closet. This home is completed with laundry room.